Introduction: The aim of the present study was to investigate the effects of SRP assisted by the two clinical treatment methods of diode laser or Curcumin Gel applications in comparison with SRP alone.. Materials and Method: This single-blind clinical trial, performed in a split mouth design, was conducted on 10 patients with moderate to severe chronic periodontitis. Following a baseline examination at first day which included the assessments of plaque index (PI), gingival index (GI), and probing depth (PD); patients randomly received either SRP in one quadrant (control group), or SRP combined with Curcumin gel in another quadrant (experimental group). All cases were examined again, assessing PI, GI, and PD at baseline and 90th day. 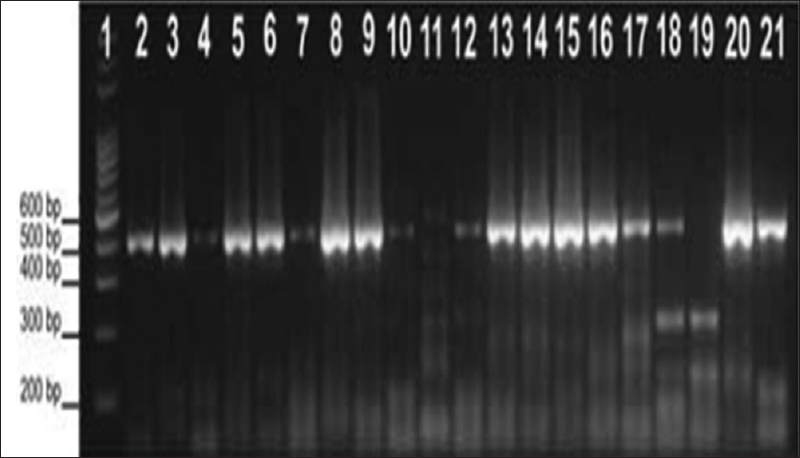 Presence of P. gingivalis was tested by PCR method. Results: In all patients, there was a significant improvement in the in GI and PD for both quadrants treated only with SRP or combination of SRP and Curcumin. However, experimental group presented significantly lower GI (P = 0.0001) and PD (P = 0.009) than the control group at the end of study period. Conclusion: This study revealed that local application of curcumin gel could be considered as an adjunctive treatment with scaling and root planning for chronic periodontitis. Introduction: Vital tooth preparation necessitates the application of desensitizing agents due to hypersensitivity that arises out of trauma. Many desensitizing agents are currently available in the market. One must, however, note that such an application creates a barrier between the tooth cement interfaces that may alter retention. This study investigates the same. Aim: The aim of this study was to compare the effect of two desensitizing agents on crown retention using resinomer cement. 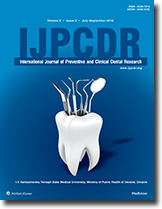 Materials and Methods: Thirty-three extracted human maxillary first premolar teeth were selected for the study, which was prepared using a special assembly and divided into three groups, i.e., (R + U, R + G, and R) to compare the effect of GLUMA and ULTRASEAL on crown retention using resinomer cement significant. Conclusion: The application of GLUMA desensitizing agent to resinomer cement resulted in an increase in retention that was statistically significant. ULTRASEAL is ill-suited to combine with resinomer cement. Introduction: A number of self-report measures have been developed that assess the subjective health status such as dental neglect; dental anxiety and oral health related quality of life. Aim: To access the association between clinical and subjective oral health status among school going children in south Bangalore. Methods: 300 completed questionnaires designed to measure oral health indicators were collected from both children (6-10 yrs) and parents. Caries was assessed using dmft index. Result: Out of 300 children examined 55.3% - girls 44.7% - boys. Children with infrequent brushing had more caries. 28% of parents monitored their children while 42% brushed on their own. More than half of the parents and children thought it was necessary to visit dentist frequently and oral health would affect general health. Conclusion: In our study dental self-report items showed high level concordance between child and parents and was found to be clinically valid. Introduction: There is developing evidence to support the two-way relationship between diabetes and periodontitis (PD), with diabetes increasing the threat for PD and periodontal inflammation negatively affecting glycemic control. Aim: The objective of this survey was to investigate the dental knowledge of medical doctors regarding PD being a complication of diabetes mellitus and their attitude toward timely referral of such patients to a dental practitioner. 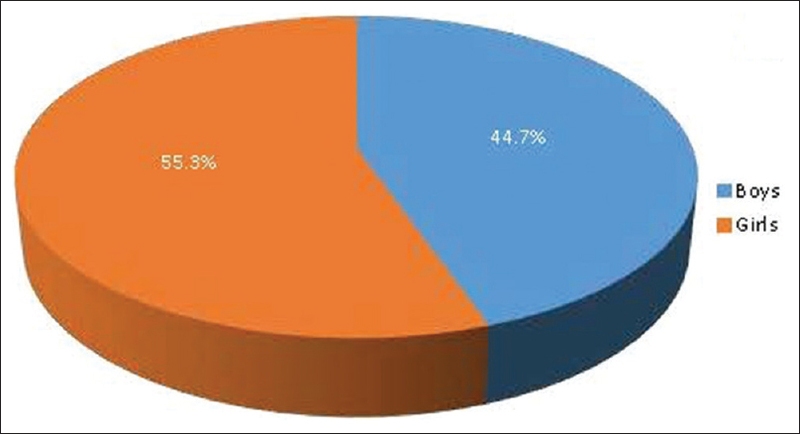 Materials and Methods: A questionnaire survey was carried out among medical physicians in all the medical colleges of Bhopal. The questionnaire included 16 questions, and the filled questionnaire was immediately collected and analyzed through SPSS software version 16 and Pearson's correlation test. 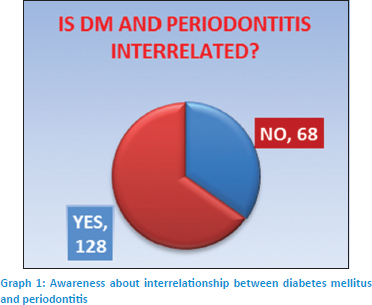 Results: The present study found that medical practitioners in Bhopal hold a certain awareness about oral health, and that there is an association between periodontal health and diabetes; nevertheless, majority do not sustain the awareness of the nexus between the two. Conclusion: Educational programs can be included in medical and dental curricula to upsurge interprofessional education to enhance care for patients with diabetes and address their treatment needs. 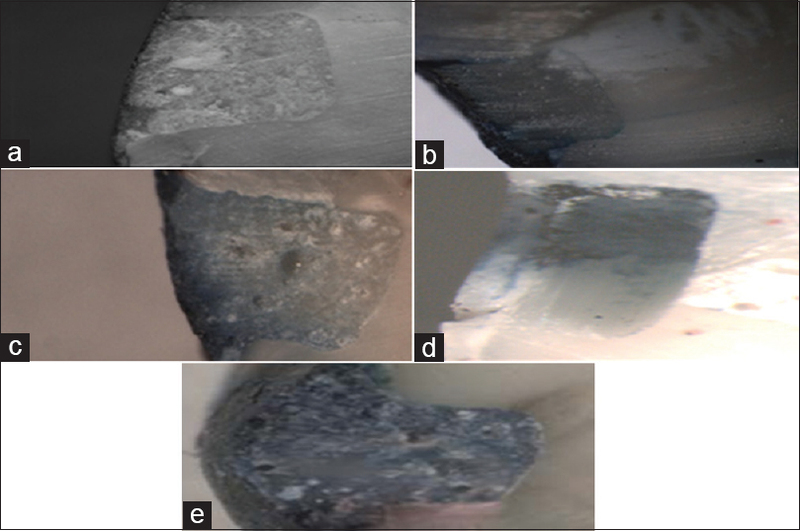 Aim: The aim of this study was to evaluate and compare the microleakage of various glass-ionomer restorative materials. 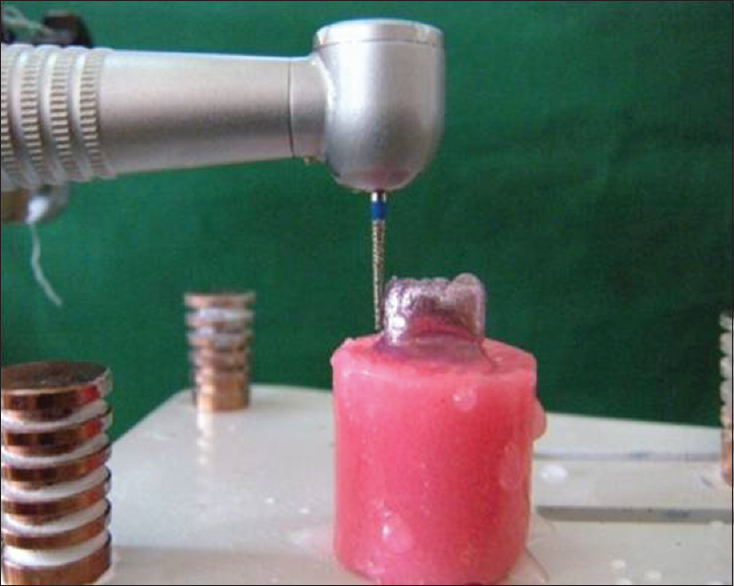 Materials and Methods: A sample size of 60 noncarious permanent teeth was taken for the study. Standardized Class V cavities were made on the buccal surface of the tooth. Samples were divided into three groups as follows: Groups 1, 2, and 3 containing 20 teeth in each group and restored with GC Fuji II, GC Fuji IX GP, and GC Fuji II LC, respectively. Samples were then subjected to thermocycling and later on immersed in methylene blue dye for microleakage assessment. The microleakage assessment was done using stereomicroscope (Leise company). Data collected were statistically analyzed. Results: GC Fuji II exhibited maximum microleakage, followed by GC Fuji IX GP and was minimum in GC Fuji II LC. Conclusion: GC Fuji II LC showed least microleakage and thus can be recommended as the restorative material of choice for pediatric patients. Dental impression creation is the procedure of formulating a negative replica of the teeth and oral tissues, into which different die materials can be processed to create working analogs. Impression making is a routine procedure carried out at the start of any prosthodontic procedure. The accuracy and dimensional stability of impression materials are of paramount importance to the accuracy of fit of the resultant prosthesis. Hence, in the present review, we aim to highlight some of the important aspects of dental impression materials used in prosthodontics. Diabetes mellitus (DM) is a chronic disorder of carbohydrate, fat, and protein metabolism. Conventionally, orthodontic treatment was considered to be a treatment modality for healthy young people. However, with increasing patient awareness, the trend has changed with adults now seeking orthodontic treatment. Approximately, half of the patients with diabetes are not diagnosed and an oral examination may provide the first diagnosis of the disease, So that treating doctor must have a basic knowledge of the oral features of DM. Here, we will see clinical aspects of DM, its oral manifestations, and orthodontic treatment considerations. Aim: Pediatric foreign body ingestion is a worldwide problem. Dental appliances, instruments, teeth ingestions is the second most reported phenomena. Case Description: This is a case report of a 4 year old female pediatric dental patient with ingestion of posterior aesthetic zirconia crown. Report includes its management and treatment. Also signs and symptoms of foreign body ingestion, their management and preventive protocols have been briefly discussed. 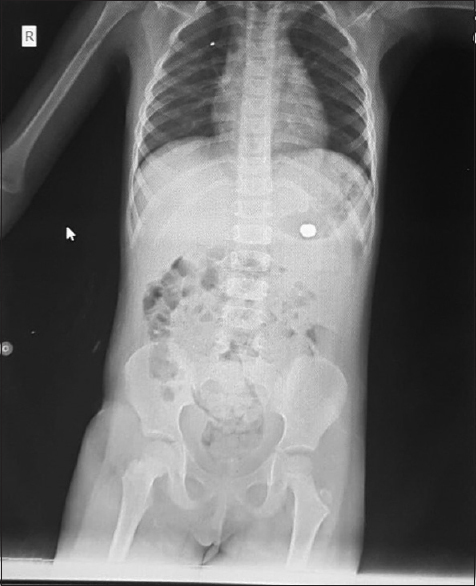 Conclusion: Early recognition of swallowed foreign bodies and knowledge regarding the signs and symptoms associated related to pediatric dental patients is the key to avoid unforeseen events. Clinical Significance: Preventive protocol application and knowledge regarding foreign body aspiration and ingestion helps in providing better dental care and to avoid any negative consequences in this litigious era. Pemphigus is a group of potentially fatal dermatoses with both cutaneous and oral manifestations characterized by the appearance of vesicle or bullae. Their manifestations in the oral cavity often precede those on the skin by many months or may remain as the only symptoms of the disease. Most patients could be initially misdiagnosed. 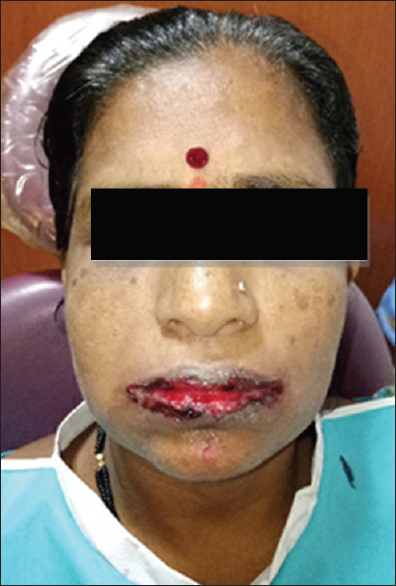 Timely recognition and therapy of oral lesions are critical if treatment is instituted during this time, the disease is easier to control and the chance for early remission of the disorder is enhanced. Topical, systemic or intralesional corticosteroids are the treatment of choice for pemphigus vulgaris. Although the mortality has decreased to <10% since corticosteroids appeared, high doses, and prolonged treatment can cause side effects. They can be prescribed with different immunosuppressive therapy to reduce the cumulative dose of corticosteroids. Among the different immunosuppressive drugs, we find azathioprine, methotrexate, and cyclophosphamide and more recently mycophenolate mofetil. The human eye is one of the most important features of facial esthetics. The loss of an eye can have debilitating effects on the patient's physical, social, psychological, and overall mental attitude toward life. 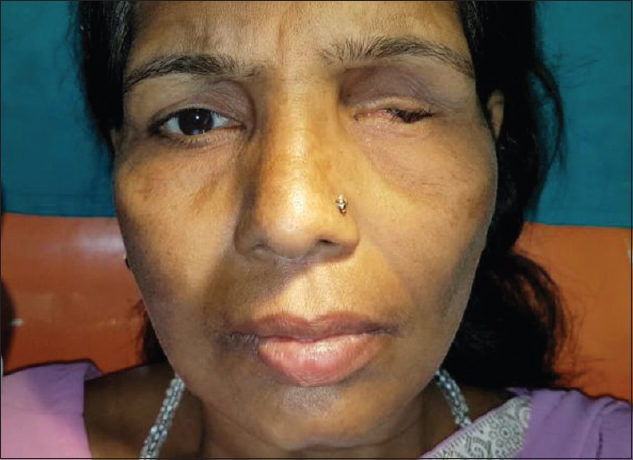 Loss of eye can be a result of enucleation, evisceration, or exenteration procedures to treat any underlying etiology. As a result, there is a dire need for an ocular prosthesis after the surgical procedures. Different materials and procedures can be used for the fabrication of an ocular prosthesis. This case report presents the fabrication of a semicustomized ocular prosthesis using a stock iris shell.